Check the University of Canterbury scholarship webpage, and the Lincoln University scholarship webpage for current scholarship opportunities not specifically offered by the Waterways Centre. Several scholarships relate to disciplines including water science. 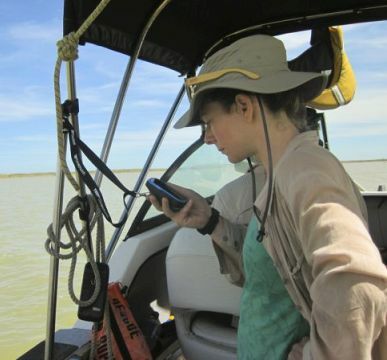 Katie Coluccio, WRM PhD candidate and receipient of a UC College of Science Doctoral Scholarship taking samples at Te Waihora/Lake Ellesmere.